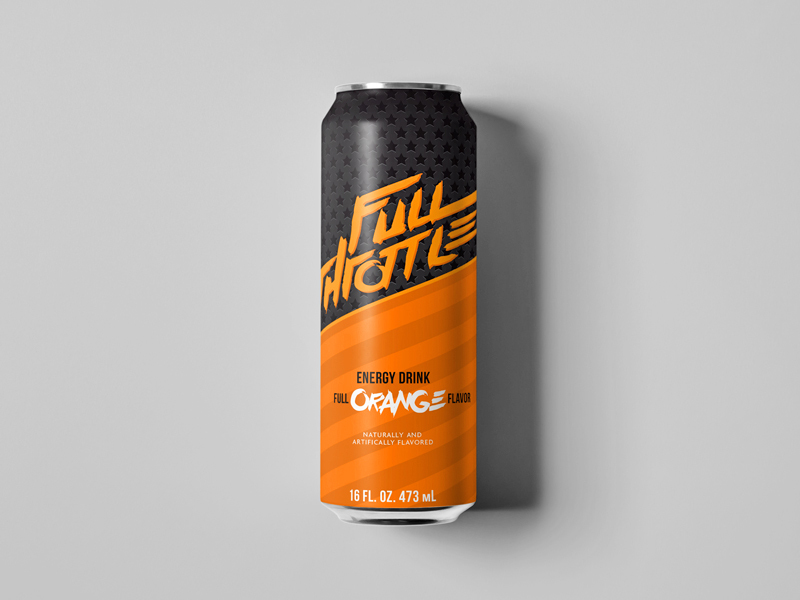 Monster Energy chose us to work on one of their big energy drink brand Full Throttle. Full Throttle is widely popular in the middle of United States and less toward the shores. People who like Full Throttle are mostly strong, patriotic, motorcycle, truck riding, hard working man. With that mindset, strong, American, Americana, bold, furious were some keywords we capitalized on when designing the new looks. In this series we called each can by a different valuable metal (Gold, Silver, Bronze) and matched each with a flavor. The goal was to design bold and clean.